Apple option for editing photos is really good, but in the App Store are free alternatives to iPhoto that can stand up for users who do not have the bar really high. Fotor is certainly one of them, or at least to me it seems. 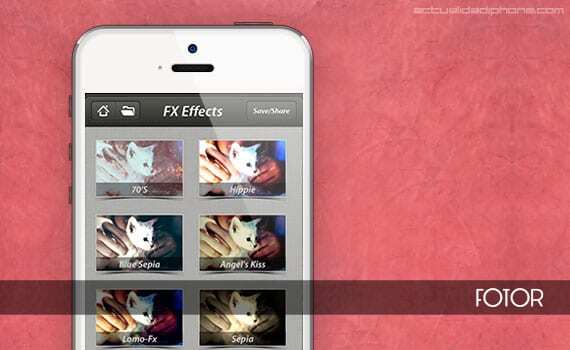 The first thing that draws attention Fotor is that this is an application designed to the last pixel, with all its graphics adapted to Retina Display both iPhone 4/4S as the iPhone 5 and with great attention to detail. The first step therefore gives by far surpassing the expectations I had at the beginning. The screens are very well organized and take the full iPhone screen, leaving few free holes without excess overwhelm the distribution of the elements that we have placed on the screen. A good example is the FX, which gives us a real-time preview of how the photo will while shows eight effects and onscreen menu to choose the family we want to use effects. Another really positive part of the application is that it has virtually everything to iPhoto and envy and its competitors in a few things. It has the classic wizard improved a touch that will fabled to have little time to enhance photos, but if we go beyond is a wide range of possibilities: we can change the picture size, crop, rotate , give all kinds of effects-there are many-edges add Instagram-style or make the tilt-shift effect in half a minute thanks to the system that brings integrated, which even allows us to simulate the lens aperture. There are many apps that use a time before the review, the taste and the blots. With Fotor I assure you that will not happen the same, and I've had a really positive user experience and will now be the application you use to touch up some of my photos on the iPhone, and why I have iPhoto but sometimes me too heavy to effect both these menus and sometimes impractical. Is it good in life, to choose. 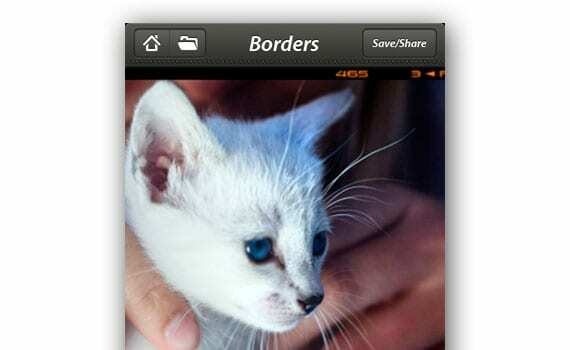 Article Fotor, a free application for retouching photos on the iPhone has been originally published in News iPhone .